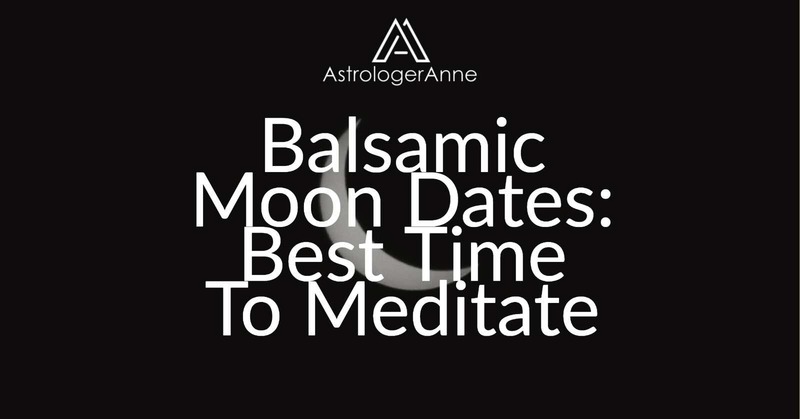 The balsamic Moon phase is the best time each month for meditation. This phase happens every month at the end of the lunar cycle, during the three days right before the new Moon. It’s a time when nature is at her quietest and we feel more receptive to the call of our inner self. We benefit most at this time by imitating nature through extra rest, reflection, and meditation because these tranquil activities automatically put us into harmony with nature’s prevailing energies. You can learn more about this restful, restorative phase in my balsamic Moon phase article. January 12, 4:28 p.m. – January 16, 8:18 p.m.
February 11, 12:34 p.m. – February 15, 3:06 p.m.
March 13, 8:44 a.m. – March 17, 8:13 a.m.
April 12, 2:59 a.m. – April 15, 8:58 p.m.
May 11, 6:07 p.m. – May 15, 6:49 a.m.
June 10, 6:01 a.m. – June 13, 2:44 p.m.
July 9, 3:20 p.m. – July 12, 9:49 p.m.
August 7, 11:01 p.m. – August 11, 4:59 a.m.
September 6, 6:01 a.m. – September 9, 1:03 p.m.
October 5, 1:08 p.m. – October 8, 10:48 p.m.
November 3, 9:15 p.m. – November 7, 10:03 a.m.
December 3, 7:18 a.m. – December 7, 1:22 a.m.
Hi! Can you tell me what calendar you used for the dates? Hello, Raven. The dates are based on my own research and calculations for U.S. central time. Wow! Just like 27 years ago on December 3rd! I was born under a balsamic moon on December 3 1991!! 🙂 does this always happen on December 3? How often does it repeat?? Glad you enjoyed this article, Melissa. This will be a big year, turning 27 and having a balsamic Moon again on your birthday. That’s because you’ll start a new personal lunar cycle as of about age 27 – 28 (the progressed lunar return), followed closely by your first Saturn return around age 29. 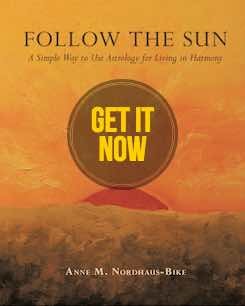 The late 20s are a time of change, and by the time you’re 30, you will feel different after various inner shifts and reaching a new maturity. Enjoy your balsamic energies and the meaningful insights you have around your birthday this year!